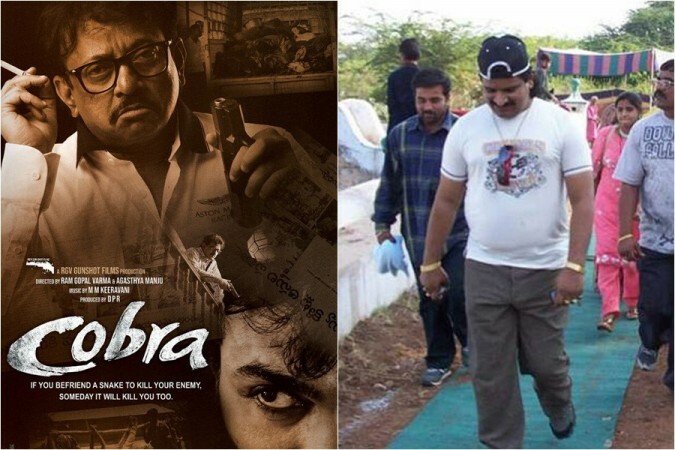 Cobra to mark Ram Gopal Varma's acting debut: Is it a biopic on Naxal gangster Nayeem? Ram Gopal Varma will make his acting debut with the biographical movie Cobra, which will be based on the life of Naxal gangster Nayeem aka Mohammed Nayeemuddin, who was killed in an encounter with the police on August 8, 2016. Director Ram Gopal Varma announced on his birthday that he is making his acting debut with upcoming biographical movie Cobra. The filmmaker has also released his first look from this film. Ram Gopal Varma turned 57 on Sunday, April 7. On this occasion, he took to his Twitter account to announce his acting debut. He tweeted the first look of Cobra and wrote, "Ahem! On the occasion of my birthday today, I am debuting as an actor for the first time in my career.. I wouldn't mind if u don't bless me..Thanks "
The first look from Cobra shows that Ram Gopal Varma is playing the important role of intelligence office R, while KG and Ranga Rao essay the role of criminal and chief Minister KCR, respectively. The movie is jointly directed by Ram Gopal Varma and Agasthya Manju and produced by DPR under the banner of RGV Gunshot films production. MM Keeravani will compose the music for this film. Cobra is made with the tagline: "If you befriend a snake to kill your enemy, someday it will kill you too." The poster of the movie offers a hint at its storyline. "A biopic of the most dangerous criminal ever. If he is arrested, half the police department will be thrown into jail," reads a statement featured on its first look. RGV also revealed it will be made in Hindi and Telugu. 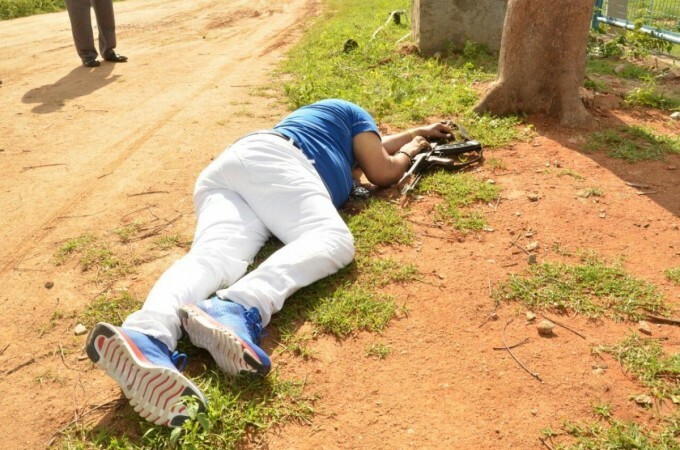 The director tweeted on Monday, "COBRA is a bilingual being made in Hindi and Telugu ..It is a biopic of the most dangerous criminal that ever existed in the criminal history of india ..A new actor K G is playing the protagonist and I am playing an intelligence officer #Cobra"
The first look reveals that Cobra is going to be a biopic of a criminal, but it does not reveal the name of the criminal. 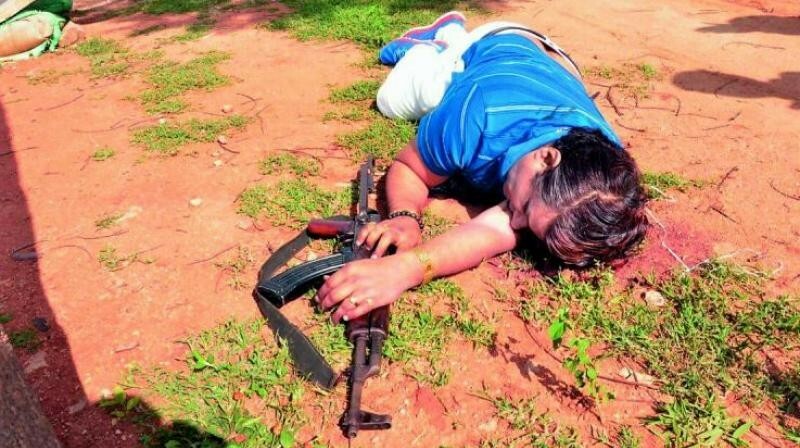 However, the buzz on the social media claims that it will be based on the life of Naxal-turned-gangster Mohammed Nayeemuddin, who was killed in an encounter with the police on August 8, 2016. Nayeem was involved in over 100 criminal cases including 20 murders. Soon after his encounter, Ram Gopal Varma had announced to make a biopic on Nayeem. The director had tweeted, "Just gathered entire information on Nayeemuddin from multiple sources. His crimes over the years are full of truly hair-raising details. Nayeemuddin's transformation from a naxalite to a police informant to an underworld gangster to become an all-time Criminal no.1 is scary." Ram Gopal Varma, who is basking on the success of Lakshmi's NTR, is known for directing several gangster movies and controversial biopics. Now, the news about his acting debut has thrilled many film goers. Some of them replied to RGV's tweet and shared their excitement over this film. Here are their responses.